Stock # 11484, 3.5L V6 DOHC 24V, 6-Speed Automatic, 8 mi. This is the best of the best when it comes to premium features in a handicap accessible SUV. 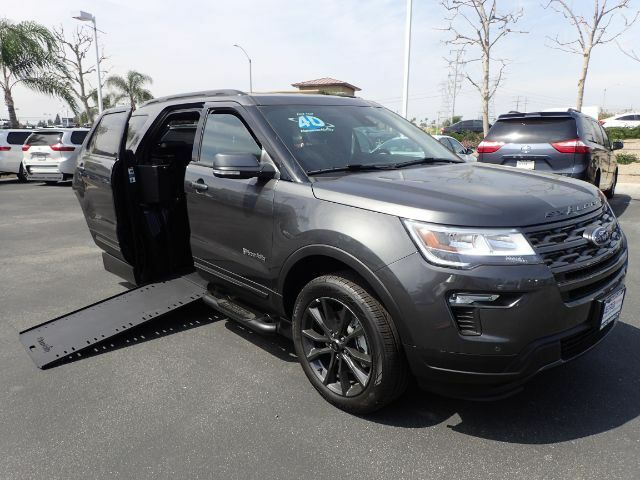 Built Ford tough, this 2019 Explorer XLT is the MXV conversion from BraunAbility. Removable front seats allow the chair rider to ride or drive the vehicle and the middle shifter can slide in either direction. With the touch of the button, the front seats tilt forward giving maximum entry space. The 28" automatic ramp tucks away inside of the vehicle. Graded with navigation. leather seats, heated steering wheel, 8" touchscreen display, a backup camera, premium speakers & remote start. From off-roading to soccer practice, the MXV can handle it all.